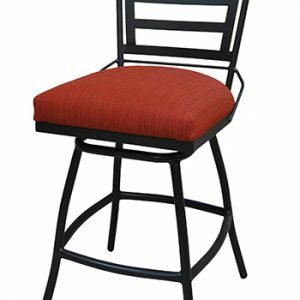 Ladder back barstools never go out of style. 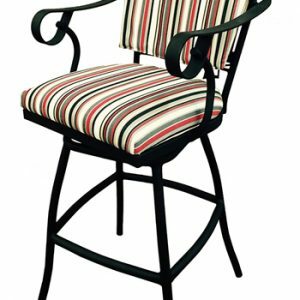 You’ll find ladder back designs in a variety of décor styles and they’re available in counter, bar, and spectator height seating. 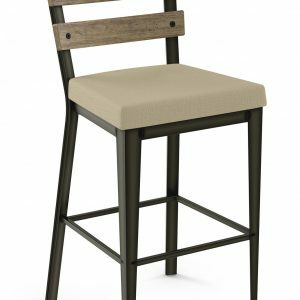 Alfa Barstools sells ladder back options in nearly every décor style, including: traditional, modern, industrial, Victorian, and country style barstools. 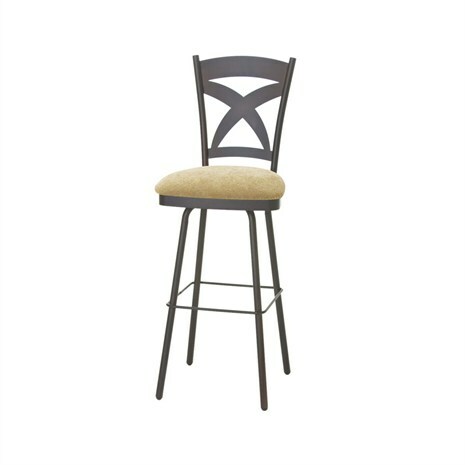 You’ll find ladder back designs in wooden barstools, brushed steel options, metal, aluminum, the list goes on. We also offer some great half-ladder back low back seating options in a variety of heights. 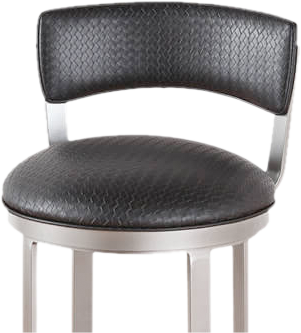 We also do custom barstools, and you’ll find this design element in a number of brand names that we carry as well. 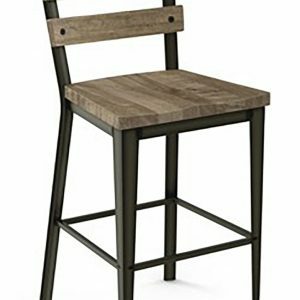 How tall should your ladder back style barstools be? 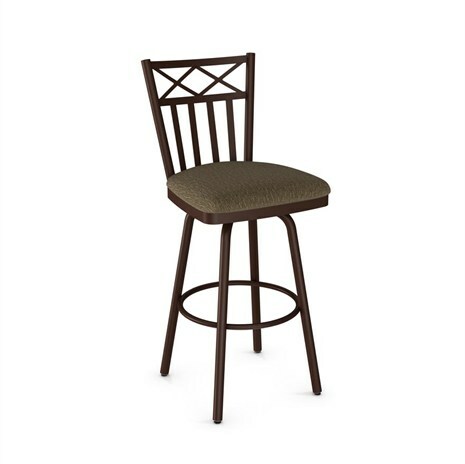 Unless you are buying adjustable height barstools, there are several sizes to choose from that correlate to your bar or counter’s height. You want enough room for those sitting to be able to get their legs comfortably under the table with enough room to cross their legs, if they wish. We have a handy size guide for bar height, counter height, and spectator height sizing. 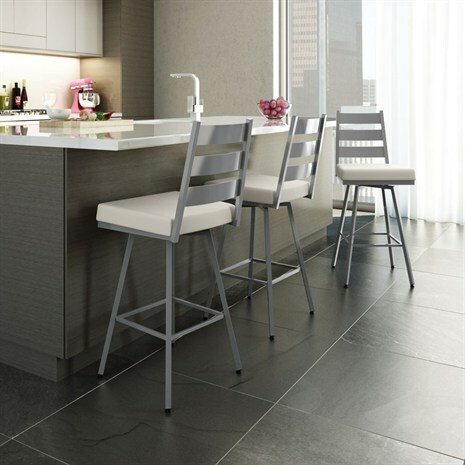 In terms of how many stools you can fit at your counter or bar, this will depend on whether or not you have armrests, the size of the base of the stool, etcetera. 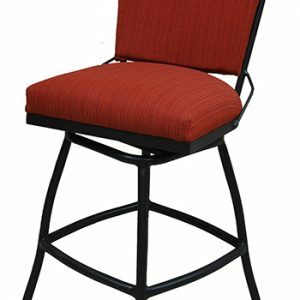 If you offer swivel barstools, you can often fit more than if people need to manually maneuver around neighboring stationary seats. We would be happy to guide you, should you need design assistance. Ladder back designs never go out of fashion because they are so very versatile. Limited on space? We also offer ladder backs seating options for narrow spaces, too. Not sure what back style you want? 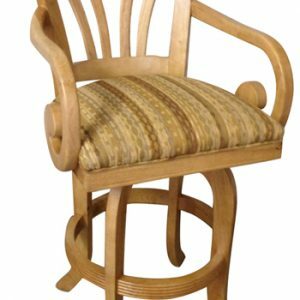 Feel free to browse our other back designs, too, including: wood cap backs, button tufted backs, lattice backs, custom laser back styles, and more. 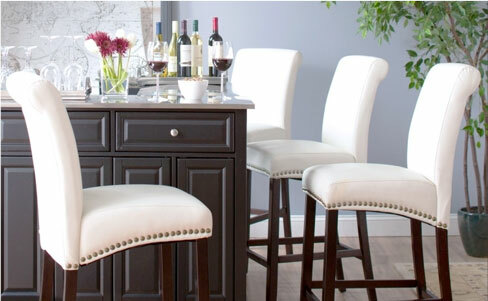 Alfa Barstools ships our bar and counter seating nationwide. 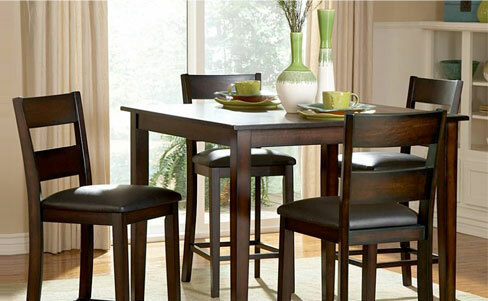 We’ve been in business since 1992 and continually get great reviews for quality workmanship, durability, and pricing. 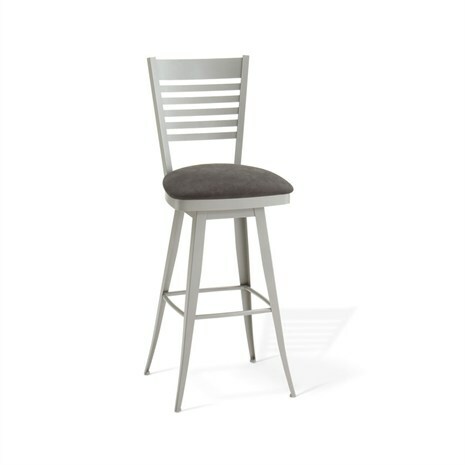 When you buy ladderback or other barstools from us, you save 40 to 50 % off retail pricing. 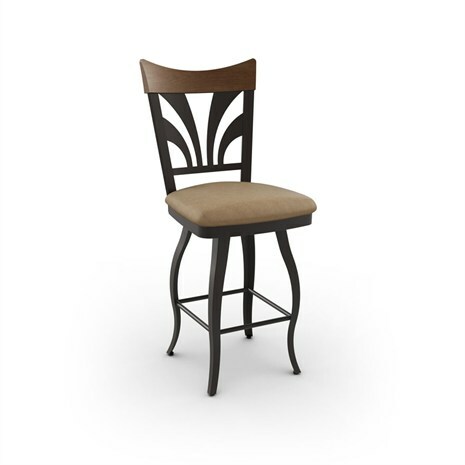 Whether you want something modern, traditional, or industrial you’ll find that we have an unbeatable selection from some of the top names in the barstool industry, including: Tobias Designs, Trica Furniture, Chromcraft, Grako Design, Alfa Designs, and others. 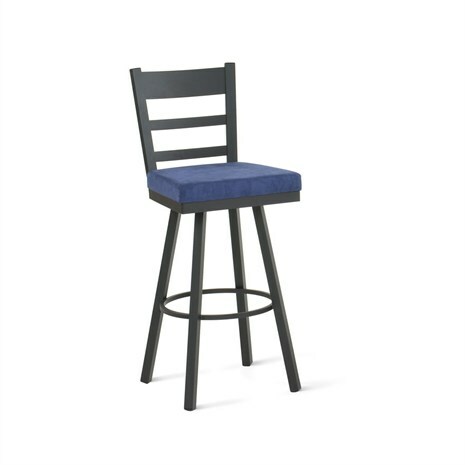 We sell replacement parts for your ladder back barstools and extra tall barstool options, too.